No, we haven’t lost our sense of decorum here at Scoop Deck. FRUKUS 2011 is an invitational naval exercise now underway off the Virginia coast involving ships from Russia, France, the U.K. and the U.S. Navy. “FRUKUS” is an acronym for all four nations — we’re guessing it rhymes with RUCKUS, which means a commotion — but it’s a bit more controlled than that denotes. 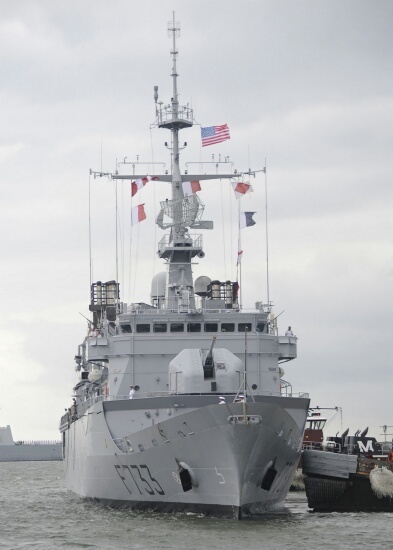 It’s a two-week interoperability exercise … but let’s get to the pictures of the ships, shall we? HMS Dauntless, a participant in FRUKUS 2011, arrives at Naval Station Norfolk, Va. // U.S. Navy photo by Mass Communication Specialist Seaman Kristina Young. FS Ventose, a participant in FRUKUS 2011, arrives at Naval Station Norfolk, Va. // U.S. Navy photo by Mass Communication Specialist Seaman Kristina Young. U.S. Navy Sailors from the destroyer James E. Williams receive the lines from their counterparts aboard the Russian ship Admiral Chabanenko as it prepares to dock pierside at Naval Station Norfolk. // U.S. Navy photo by Mass Communication Specialist 3rd Class Darren Moore. The exercise aims to improve maritime security through “open dialogue and increased training between the participating navies,” according to the Navy. There are two phases: ashore and at-sea. 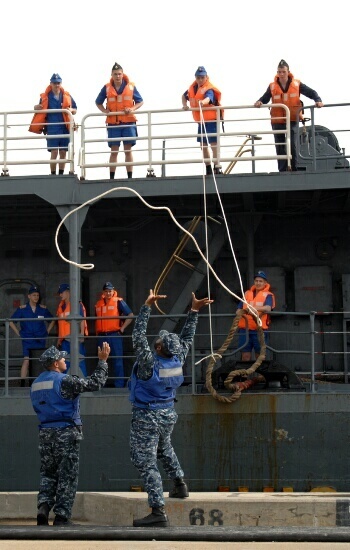 While ashore this week — the ships arrived June 20 — sailors are training on damage control, firefighting and ship handling. Next week at sea, under the command and control of a shore-based multinational combined task group staff, the ships will train on maritime domain awareness, and anti-piracy and maritime interdiction operations. At the same time, senior officers from each nation will meet during the at-sea phase, presumably to get to know each other a bit better. 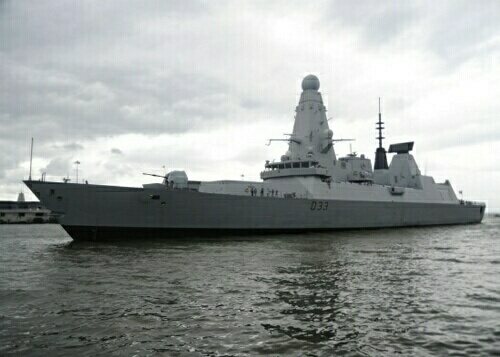 Is it just me or does the HMS Dauntless look likes it’s wearing a dunce hat? Not a good look for one of the proudest names in Royal Navy History.